Recently, I wrote about how you can reduce training volume during up to 4 weeks before a cycling race with high priority (e.g. your season goal). And you can why you can use this tapering to improve performance. Tapering with markedly reduced training volume may sound contraintuitive to people preparing for their first race. However, more experienced riders do know that tapering is an essential part of optimal preparing for peak performance. When you reduce the total training as outlined here, your body will recover and benefit from the training in the past. So less training makes you better (short term). However, if it was that easy we could all just reduce training volume and expect performance to go up. As you have probably already guessed, there is also a risk of losing performance when you reduce training volume. Therefore, it’s a balancing act to reduce training volume so you get a little better after 2 to 4 weeks of tapering: Enough to get stronger and feel better, but not so much or for so long time that you lose performance. One parameter that can significantly reduce the risk of losing performance during tapering is controlled use of high intensity interval training. It’s an effective training method to retain aerobic power and ‘race-feeling’ when your total training volume is markedly reduced. 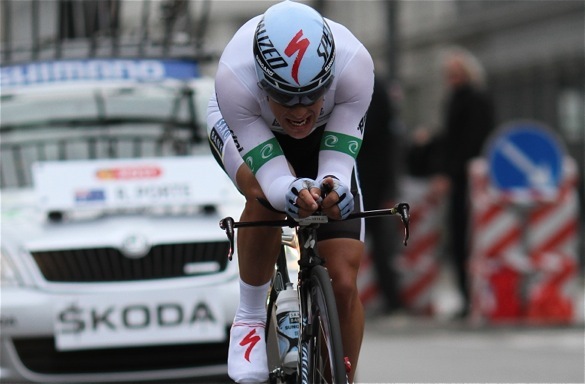 From a physiological point of view, cycling races are more complex than a marathon. If you were preparing for a marathon, I would suggest you reduced total training time as outlined for cycling races and performed intervals at an intensity close to expected marathon race pace. To perform well in a cycling race, you’ll need a solid aerobic engine. It’s the most crucial skill. Aerobic metabolism probably take care of more than 95% of your workload during a cycling race. However, anaerobic performance (for example sprints, closing gaps, accelerations etc.) is also extremely important for your overall chances of a good result. So your interval training during tapering should reflect these challenges. And yes, cycling races are not just cycling races. There are windy courses, hilly courses, short time trials, criteriums etc. So keep in mind what you are preparing for. You’ll need to include intervals that keep your aerobic performance high (both VO2 max and threshold power), intervals that boost your anaerobic endurance and intervals that secure you can make a strong sprint to the finish line. Also, remember that using races as part of your tapering can be a very effective and smart way to include specific intervals. After all, races are quite race-specific. Aerobic power has a longer ‘half life’ than anaerobic endurance. 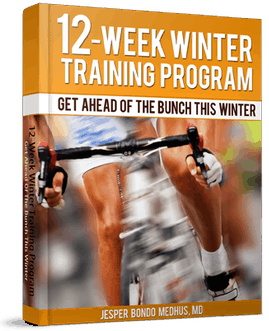 Two weeks at reduced training volume has no or only minimal effect on your threshold power. Anaerobic endurance on the other hand, will evaporate rather quickly if you don’t stimulate your anaerobic metabolites. After just two weeks without specific anaerobic training, cycling races or race-like activity, you should expect lower performance in long sprints (20seconds and up). Though, specific training of your anaerobic endurance can rapidly boost your skills in these powerful moments in a race. It’s easy come, easy go. 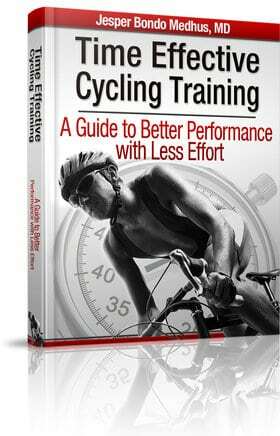 If you want to benefit from a complete 16-week training program using the above principles, click here to purchase a copy of my popular e-book: Time Effective Cycling Training.